It's 24 on Mars: a non-stop futuristic thrill-ride, all in one day, through the critical events which were the breaking point for the underclass of Martian citizens and precipitated a revolution to break the Martian colonists free from the formidable Sol System government. The formerly red planet would never be the same, nor would the human race. 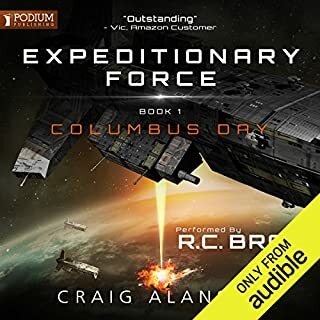 It was one day that changed the course of history for the Solar System, raging from hand-to-hand combat to piloted armored mecha suits clashing to an enormous space battle, with dedicated heroes on both sides of the conflict wondering if they were doing the right thing and if they would live to see another day. And wondering, as well, if the spark of this new war that would eventually reach across whole star systems, would bring them peace. 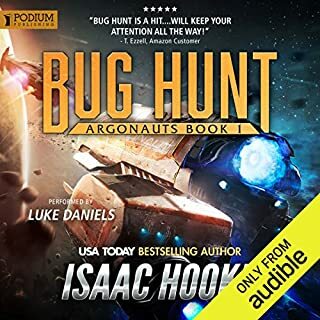 ©2009 Travis S. Taylor (P)2009 Audible, Inc.
Downloaded as a bit of desperation as i could not find anything that appealed to me at the time, I had a nice surprise when i found a very nicely narrated, fast paced imaginative little sci-fi morsel. I was impressed enough to order the second book in the trilogy which I am just about to get tucked into. A 24 hour type story in space - excellent! This book is action packed from start to finish. The editor review calls the book "24" on mars, but while I enjoy the show 24 I just don't see how the comparison fits. This is "starwars" meets "robotech" meets "band of brothers", if that makes any sense. The story follows multiple characters through a roughly 24 hour period, centering on a war taking place on and in orbit of Mars. The action is just one big adrenaline rush from start to finish. 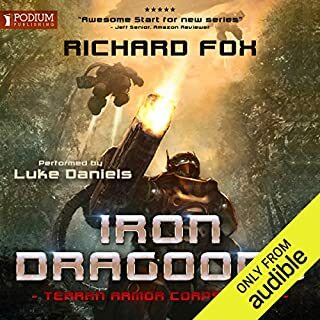 From a spy being inserted behind enemy lines, the ground tank commanders trying to reclaim the cities of mars, the pilots fighting in orbit and mars atmosphere, and a retired marine trying to save his family, the story drops you in and you just need to hold on. This is one of those books where you plan to listen for an hour and next thing you know you've read half the book. Highlite for me was that the when a explanation was needed of some sci-fi technology, you never felt like the action was put on pause, but rather the explanation are cleverly inserted into the action. Another highlite was the use of the robotech/gundam "starfighter/robot" idea was used, and used well. Each phase of the starfighters "fighter, eagle, and bot modes" were clearly used and the author explains exactly why each pilot is using their machines in that way. I would compare the writing style to the Prince Roger Series "We Few" by John Ringo & David Weber. 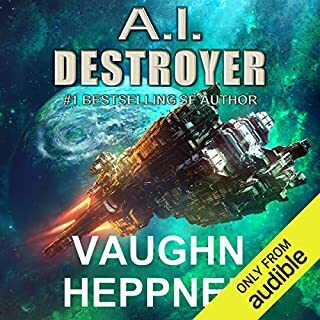 I would also say this book could hold its own against other sci-fi books like Starks War, Old Man's War, Legacy of Aldentaa. 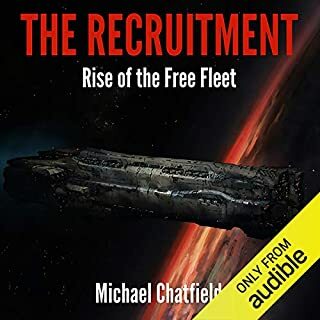 I urge those who enjoy this book tho request audible to carry the follow on books (The Tau Ceti Agenda & One Good Soldier) in the trilogy. If you could sum up One Day on Mars in three words, what would they be? Disclaimer: I love this narrator and would listen to pretty much anything he reads. You'll love him too if you prefer narrators who take themselves a bit less seriously and focus instead on making it fun for you to listen to them. Having said that, I thought that the book was well-conceived, full of fast-paced action and laden with humour. The story is satisfyingly unpredictable. Will be buying the next book in this series. It's really cool how all sides have such lofty priniciple and never want anything bad to happen. Makes the reader judge based on actual events. People should do this more, and get their opinions from TV less. This is a book that strained to be loved, but fell just short in so many ways. I wanted to like it, but I didn't enjoy it as much as I should have. Only buy this one if it is cheap. 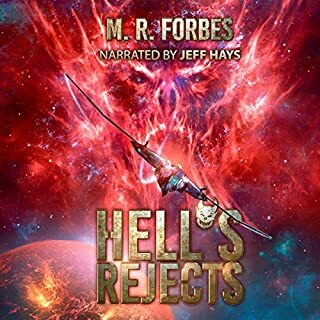 Where does One Day on Mars rank among all the audiobooks you’ve listened to so far? What was one of the most memorable moments of One Day on Mars? like the visuals of the super carrier falling to the surface. Lots of cool space fighting scenes. Very neat technical solutions to problems, just wish there was more of a story. But I will check out the rest of series. Travis Taylor's expertise adds a layer of complexity and believability that often has to be suspended in some Sci fi. The action is supported by real physics. The narrator did a good job creating different and consistent voices. I enjoyed it! Ugh! DO NOT believe the comparison with the TV show 24. The only thing this book has in common with 24 is the one day time period. No hero really. No political intrigue. No spycraft. Not even any plot twists. There is very little interpersonal communication beyond military comm and chit-chat. Certainly no romantic relationships. Instead what we get is chapter after chapter of profanity-laced interaction between--well, in any communication that goes on between any people of any kind. I get the impression that the author doesn't himself know how to communicate without f-this, g d-that. And I mean CONSTANTLY. Then there is the ultra (read: painfully, excruciatingly) detailed descriptions of battles, mech, machinery, and spacecraft. Right down to mathematical formulas and vomit-inducing g-forces. Page after page of it. This author loves his technology. Too bad he doesn't love his characters nearly as much. Nor I suspect even his plot. The reader did his best with the little he was given. Wow, did the book description ever fool me! But the misery is over now. Maybe a little Pepto Bismol would help. 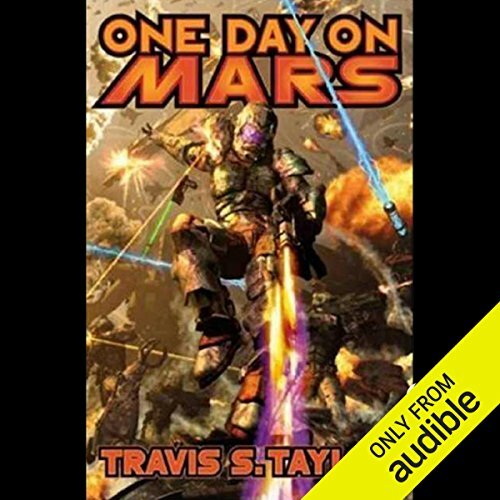 Has One Day on Mars turned you off from other books in this genre? What character would you cut from One Day on Mars?